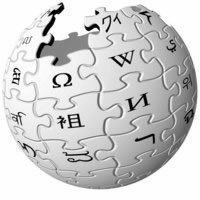 We've researched, gathered and analyzed publicly available information in order to provide an overall rank of Wikipedia.org. Lobbying is welcome and encouraged, so If you have any information you believe may lead to increasing or decreasing respectively of the Wikipedia.org's rank of any of the above criteria, we'd be happy to hear from you at info [at] web2innovations.com. Please, note that any PR material, commentary, article, story, etc., sent to us could be published on our site in support of any decision to increase or decrease the rank.